The Canada Day Together Festival is thrilled to add this unique Escape Game activity to our 2017 festival! 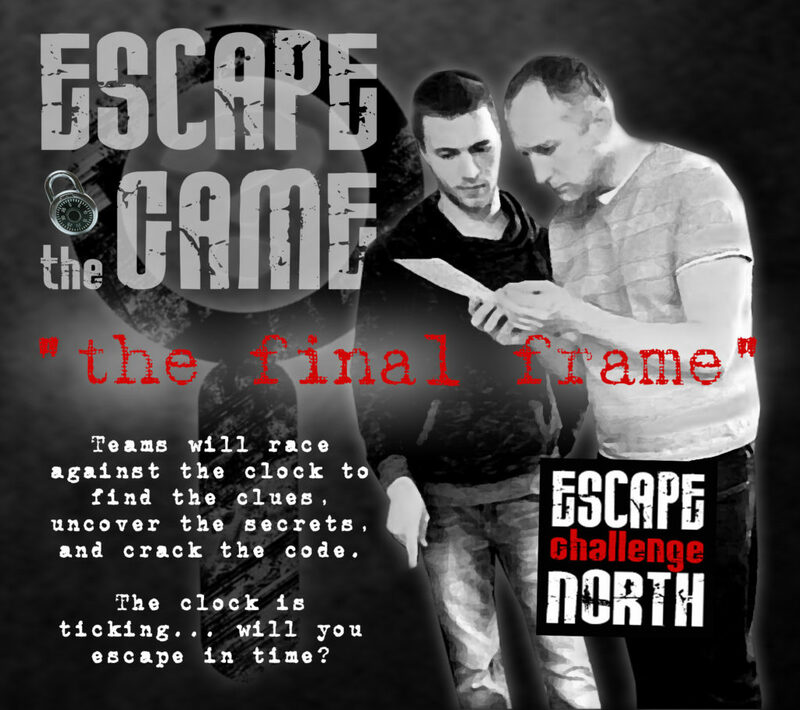 Managed by Escape Challenge North, our Escape Room will pit 10 teams against each other and the clock to see who can decipher the clues, solve the mystery and escape the game in time! The game is free of charge. Teams will consist of six players each (smaller teams will be put together to make six by the game hosts). This game is best suited for participants that are at least 12 years old. While families are welcome to sign up as a team, those under the age of 12 will generally have little to contribute to the game. NEW! All reservable spaces have been booked. Some unreservable stand-by spaces will be open on the day of the festival for all time slots. Show up early to be first in line. Reservations are being accepted in advance for up to eight teams (48 players) per game. The remaining spaces will be filled on a first come, first served queue at the Escape Room tent on the day of the festival. Each person in your group must make his or her own individual reservation with a unique name and e-mail address. After selecting your time, indicate in the "Description" box, the names of the other members of your group so we can ensure you are matched up together. Please note: if you already have a reservation, all persons from your entire group must show up at the Escape Room tent at least 10 minutes in advance of your reserved time; if you do not, YOUR RESERVATION WILL BE CANCELLED and you will have to join the standby queue. If you know in advance that you are unable to participate and have already made a reservation, please kindly unsubscribe from the event using the link in the confirmation e-mail you received from "Sagenda." Thank you. The online reservation system is now closed as all reservable spaces have been booked.